I want to thank Professor Coyle for his thoughtful consideration of my book. His effort and comments are of a profound kind. I offer, in reply, three quick points that I hope will contribute to the wonderful clarity that he has provided. 1. 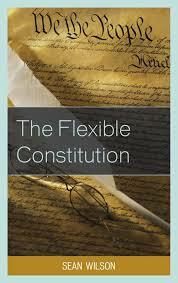 On the issue of whether the Constitution is enacted law, I do not believe my book states an a priori thesis. Rather, it says two things. First, American legal culture itself is oriented this way. And second, originalists often promote this thesis explicitly, and then end up in great confusion about how to read a plain text constitution. [See p.134, especially note 15 -- Scalia calling the Constitution a “super statute”]. The book's argument, therefore, is about poor assertability conditions occurring within a pre-existing orientation. I did not venture to set forth a God principle. I have simply said, in this legal culture, you cannot behave toward the Constitution as though it were a scripture or a scroll, without also behaving very oddly toward legal text. In a manner of speaking, what I have said is that originalism is a wart. 2. On the issue of Phillip Bobbitt, I want to thank Professor Coyle for making an brilliant observation. It is true that my book shares an important affinity with Bobbitt’s work. I wish I would have addressed this issue better. Although I have great respect for Bobbitt’s conclusion that legal judgment is ultimately a matter of conscience – a truly brilliant idea – later Wittgenstein, I think, would come to see it more accurately as being an aesthetical judgment. The difference is that the former remains in a mystical realm, private, without the ability to prove the matter objectively. The latter, by contrast, has standards of correctness which are kept and nurtured by gifted people (connoisseurs) who define and care for the craft in question. In fact, it is this very idea that separates my view from the attitudinalists in political science. So I think my difference with Bobbitt comes down to whether one is an old or new testament Wittgensteinian. Also, there is another important difference in our positions on analyticity [see p.96, note 43]. Although we both champion the idea of choice in judging, Bobbitt seems overly spirited in his rejection of analysis as a guide to choice. So long as analysis does not replace choice, I see no reason to be against it. Also, I simply can’t accept this talk of legal reasoning being “only six modalities.” But please do note that I absolutely love Phillip Bobbitt’s work and have immense respect for it. 3. When I wrote in the preface that I was offering an original work in legal philosophy, I had only meant that its method would not be journalistic or scientific. Instead, it was going to be old school connect-the-dots philosophy. But, at the same time, I did harbor quiet delusions that the work was novel or “fresh.” At the same time, I had never thought that I did anything other than create an offspring between Ludwig Wittgenstein and Ronald Dworkin. And this, I thought, was novel, thought it was not “original” in any absolute sense. Perhaps clever is the best word.. Copyright 2013 by the Author, Sean Wilson.